Grot Orderly: Citadel Finecast.. or rather FailCast? 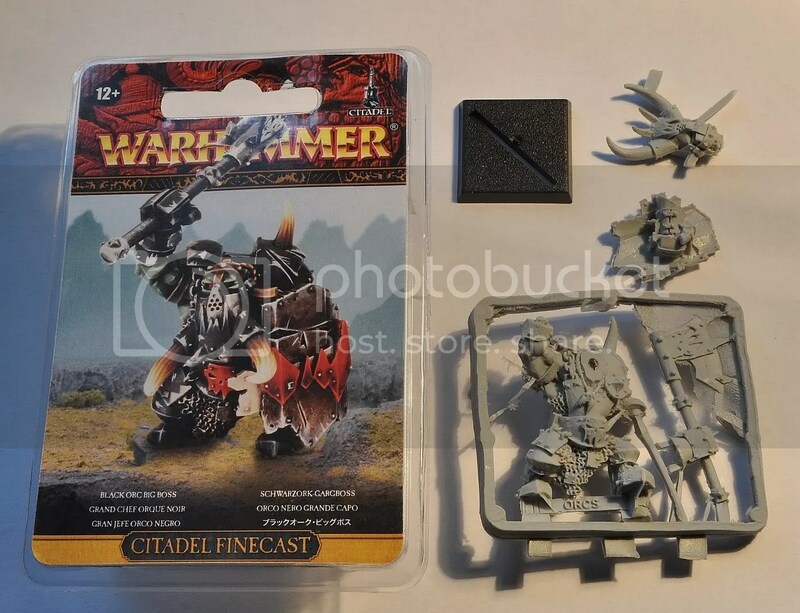 My mate Karol from Grot Orderly blog just wrote a review of much advertised , supposedly amazing GW Finecast models… I thought it would be good idea to share it so check it out! … or should I say miscast? 28th of May! Finecast has been released to the world! 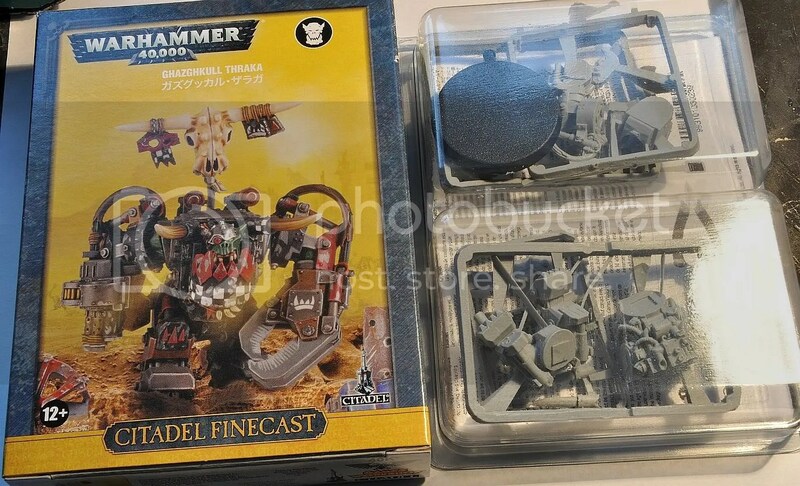 So, what did Games Workshop promise us in the Finecast range? 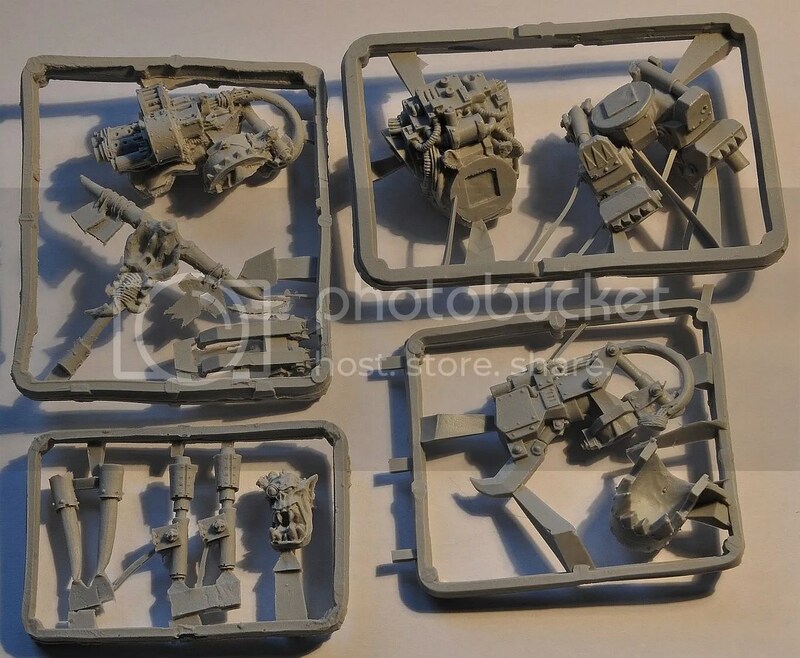 Highly detailed models, lighter material, softer to work with and better mix than Forge World mix, that would not break and chip or shatter when dropped. What did we get? Highly detailed models are a check, but what I found out by reading different posts online was that the new resin mix is something not what most modelers and painters want. Yes it is softer to work with, but it is too soft. How do I know that? So on closer inspection I noticed couple things that are wrong with them. Black Orc Big Boss has his shield miscasted – in the top right corner you can see the two fangs on the shield, they barely hold to the rest of the shield; this shield also has it’s top half almost falling off, which my wife almost ripped apart just by touching it. Flash… just have a look at the axe. Need I say more? 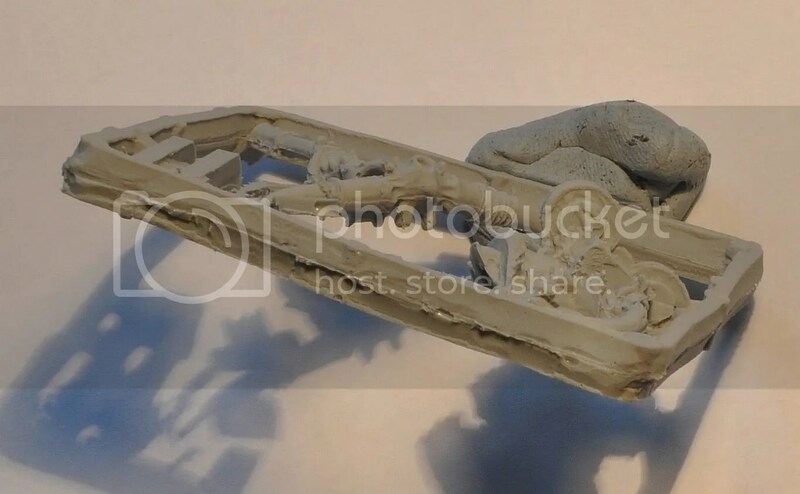 Ghazghkull has his one arm miscast (bottom right corner), and it looks terrible! The resin mix is too soft to do anything with it. I actually don’t like it that much so far, but I haven’t got a chance to do any proper cutting. I had couple of the sprues before the 28th and they were just a bit too soft. But that, as with any new material, just takes some time getting used to, so I wouldn’t count it as a bad thing. All in all, the parts that have been cast properly look wonderful. Nice crisp detail, sharp edges. There are some mouldlines but with this resin mix being soft I don’t see any problem removing them with a sharp exacto knife. So do I like the new range? Yes, I do like it… Do I mind miscasts? I do! But what I mind even more is the lack of quality control / check. These sprues should be discarded and not put in the box for me. Apart from that, go for it, unless you mind the price. Lifta Droppa wagon finished and ready! Lifta Droppa- finished and ready to be painted! So my Lifta Droppa wagon is finished and now it is ready to be painted. I added some rivets, made armour plates on the side look damaged and “orky”, added more cables, batteries and other gubbinz as well. I am quite happy with the final result and after painting i am sure it will look even better 😉 What do you think? Recently I acquired some Renedra scenery that caught my eye at Salute 2011. First pack I got is a set of gravestones. It costs 8 pounds and you get 44 gravestones and two ravens in it. There are 22 different gravestones in it, both ones looking old and broken as well as new ones. I am actually amazed at the amazing detail of those- you can even see things such as plants growing on the slates or writing on them! Very impressive and for that amount of money it is an ideal choice for people wanting to build some quality scenery for their games or for somebody interested in adding some suitable bits to their undead bases for example. Another set I acquired is mixed tents. They cost 7 pounds and you get 6 different tents plus campfire and two bits of camp furniture. There are three different types of tents and each type also comes with flap open and flap closed variety. again quality is amazing and price is very good as well. Last set I got was barrels- 3 pounds for 10 barrels (5 small ones and 5 bigger ones). Again, great detail and quality and same goes for price. They have more scenery on their website (quite tempted with their North American Farmhouse for upcoming Malifaux campaign in our club which judging by the quality of stuff I got will be great as well!). It is not often that you get such a good quality and detail for such a reasonable price so I can honestly totally recommend their products. Hope there will be more in future as well! Local tournament for best Ork warboss is coming closer and I decided to field Dreadmob army from Imperial Armour 8 (FW stuff is allowed in our local club). One of the most hillarious and orky things I have seen there was a Lifta Wagon. Essentially this is a Battlewagon with Lifta Droppa- ingenious Ork device allowing you to lift enemy vehicles and throw them around. I loved that idea from the very beginning. 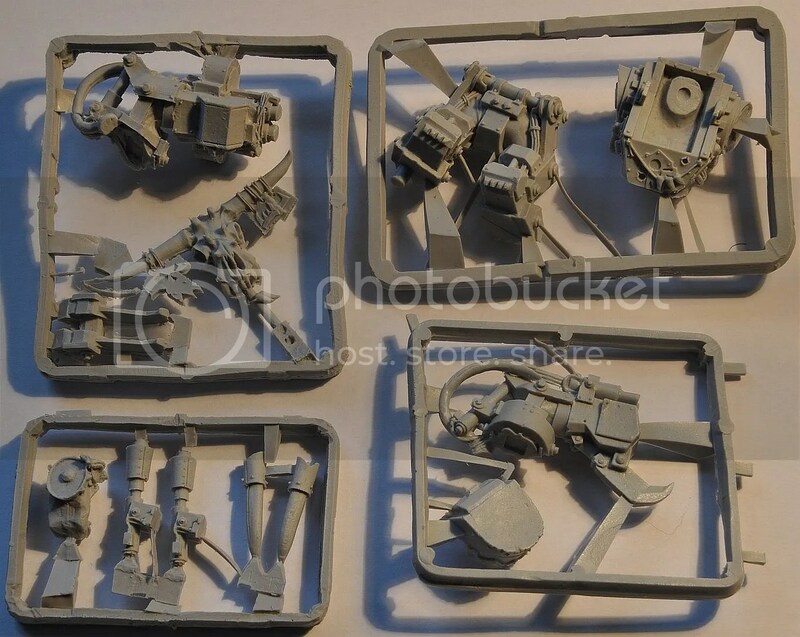 Quick look at Forgeworld website quickly confirmed my suspicions- the usual overpriced, although nice looking product was well above what I would feel comfortable spending on a model (60 quid or so plus postage- no thanks 😉 ). 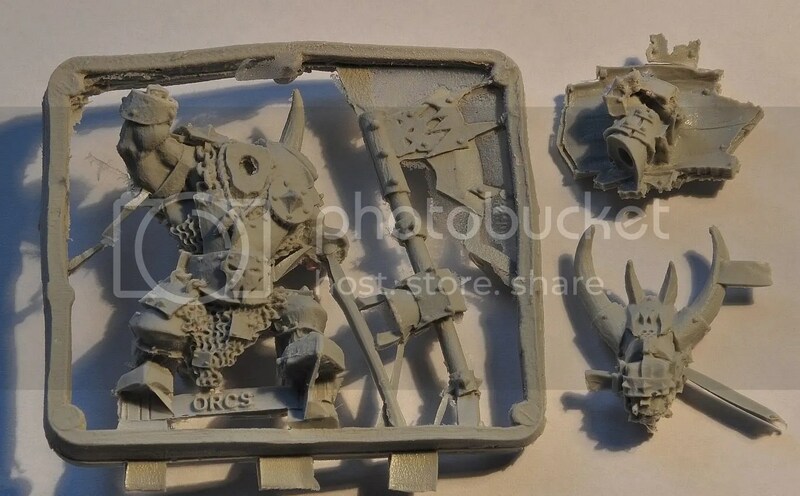 Well, being an Ork boss has one massive advantage over most armies- you can easily convert things and let your imagination go loose without worrying that your creation will not look the part. What you see on the pictures is of course very much work in progress. There will be more rivets added in all empty spaces and there will be big exhaust pipes on the back instead of those small ones that are there for now and then of course I will try to have my wagon suitably painted. I welcome all comments, questions and suggestions.